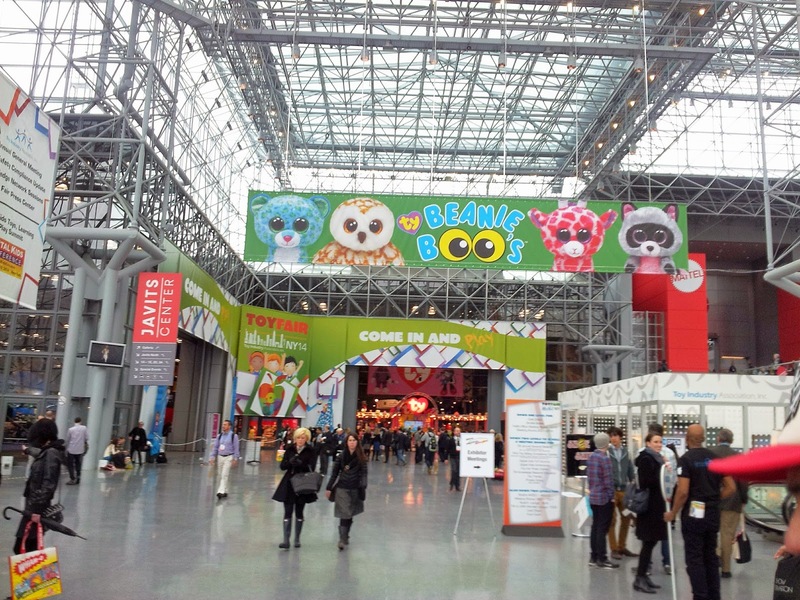 The cold month of February brings us yet another Toy Fair at the Jacob Javits Center. 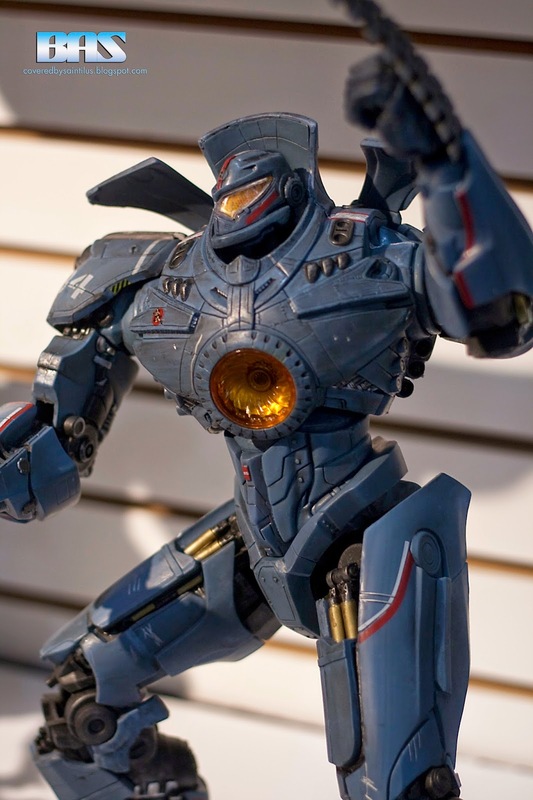 Toy Fair 2014 held a lot of great surprises and offered a lot more than one fan or collector can handle. 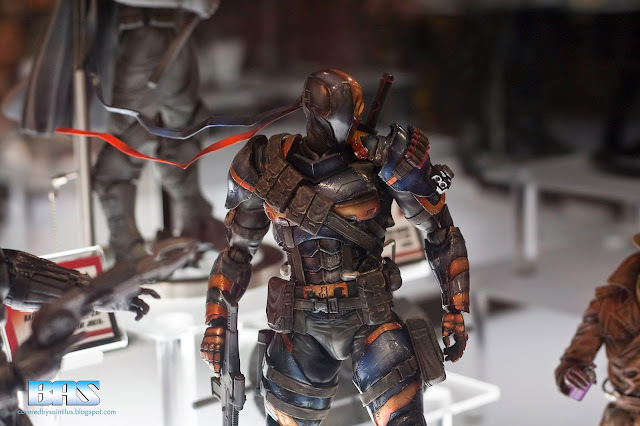 With the emergence of new movies come toy tie-ins, with the success of licenses like DC Comics and Walking Dead, new figures based on your favorite character(s) are coming soon, as soon as this summer. This year's Toy Fair dates were February 16-19. Which for me was kinda bad especially coming home from Katsucon that Sunday. Because we all know how exhausting attending one con over the weekend can be, imagine having to go straight to another one can feel. 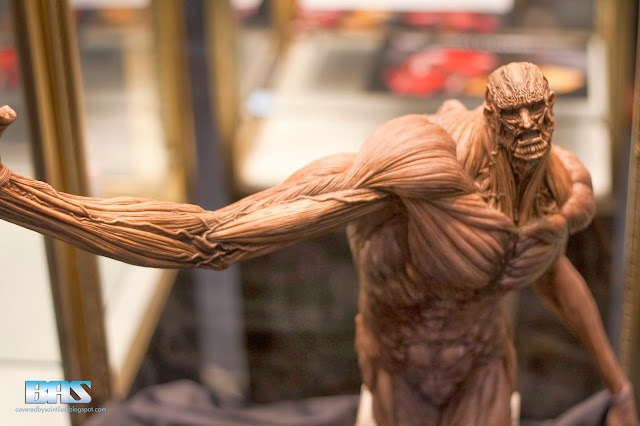 So for the sake of my own health and not wanting to do a double shift that week I only attended Tuesday's show of Toy Fair and it was phenomenal. 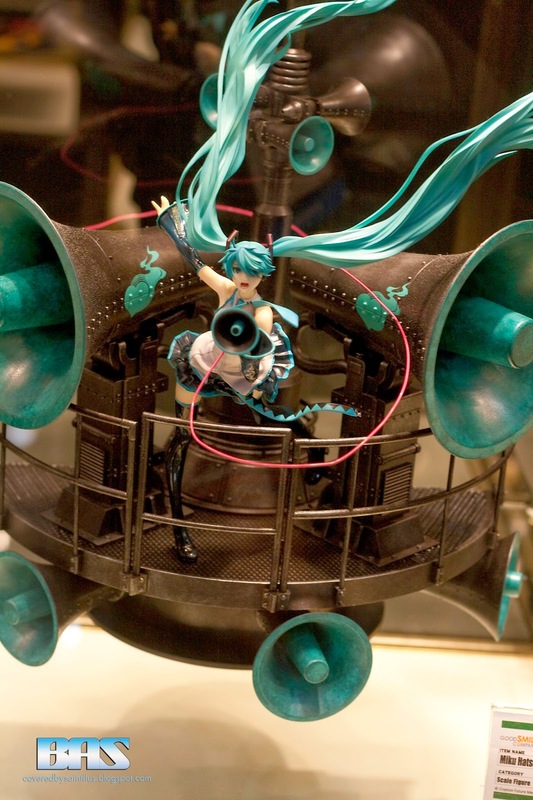 This article will only cover a few of the booths that I managed to visit. I was lucky enough to be joined by my good friend Gio, Words from the Master, to work press with. Our first stop was at the Excite Limited booth. They are the producers of a new line of military toys that are also endorsed by the Armed Forces. The new line of military action figures and playsets, USA Real Military, are up to the specs of what current military personnel are using or riding out in the field. They are so up to specs that their toy boats will actually float in your bathtub. Of course they are not giving away trade secrets, just what they and the military are allowed to divulge. Another great stop for us came at the hands of University Games. Showcasing very cool 3D puzzles and Smart Egg Labyrinthes, University Games had something for just about everyone. Having Gio trying to solve the Egg Labyrinthe showed how complex and challenging a kids toy can really be. Next up was the Square Enix booth on the show floor. 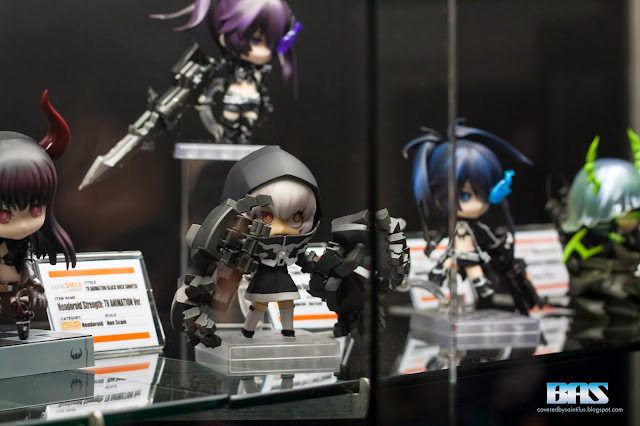 This year Square Enix continued to roll out licensed figures with their Play Arts Kai line and Static Arts Mini figures. With licenses ranging from comic books to video games, and impressive anime & chibi inspired sculpts, Square Enix was showing that all your money needs to be going to them right now. 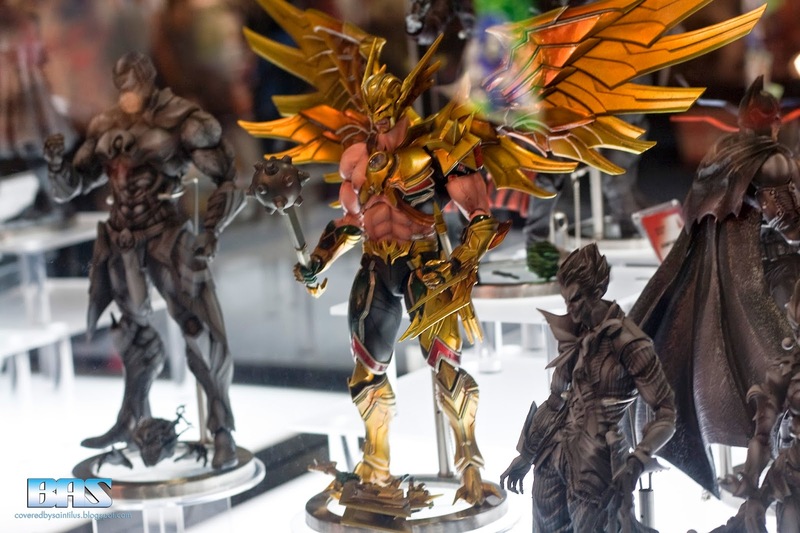 Their Play Arts Kai line are continuing to roll out new DC Comics characters such as HawkMan, characters from the Arkham Origins video game like DeathStroke & Joker. 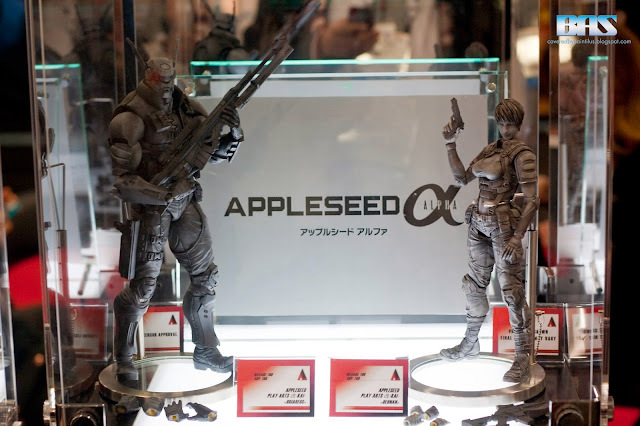 Other licenses this year included more Final Fantasy, AppleSeed, Aliens, and Metal Gear Solid. Over at the Good Smile Company is where you could get your anime fix. 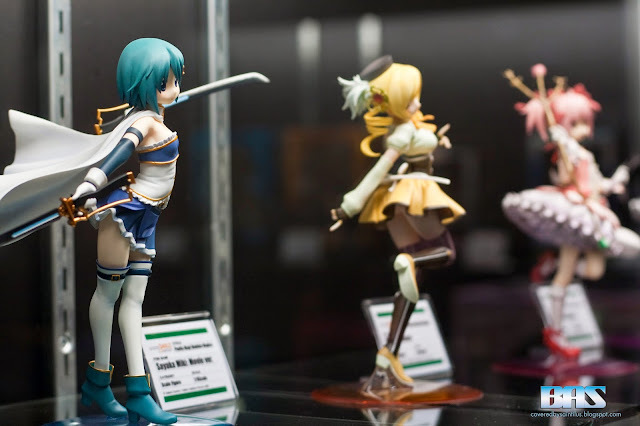 With current and past popular anime/manga series this was the booth to check out for the latest figures from series such as, but limited to, "Kill La Kill", "Attack on Titan", and "Puella Magica Madoka". All items have a Summer release for 2014. Every figure is especially designed to keep the character's proportions in tact without any distorted parts. Beautifully sculpted detail so that there are no disappointments no matter which angle you look at it. On the softer side of things, the Little Buddy booth was the perfect spot for fans on Nintendo fans. Little Buddy is a company that specializes in plush toys based on licensed characters. They have a huge selection of plush characters based on characters from series such as Super Mario, Pikmin, Animal Crossing, Legend of Zelda: Phantom Hourglass & Twilight Princess. At this year's they introduced their latest addition to the lineup, Kirby. 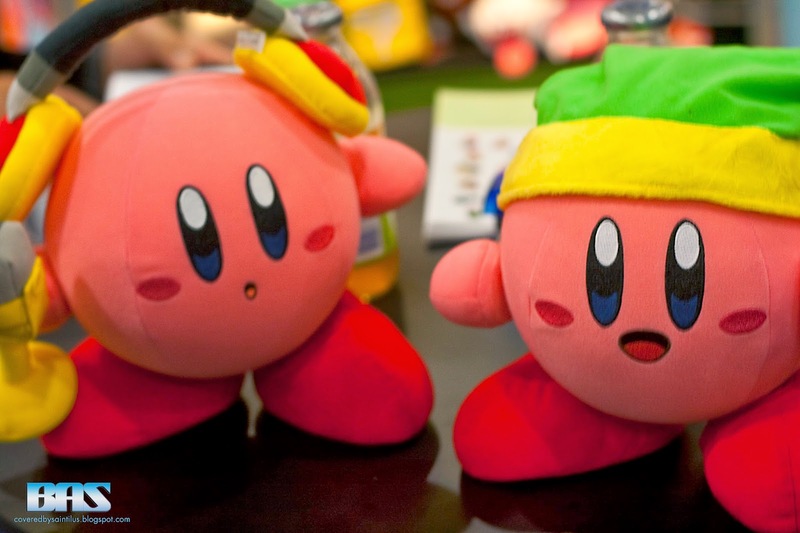 But this wasn't a simple kirby plushie, this Kirby has interchangeable arms, hats, and props that you can attach via velcro so you can make your own unique Kirby. 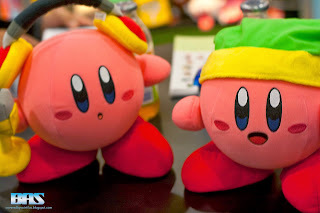 They do have simple Kirby plushies that have non interchangeable parts, as well as a Kirby pillow. One of my favorite stops was the Loyal Subject Los Angeles Booth. 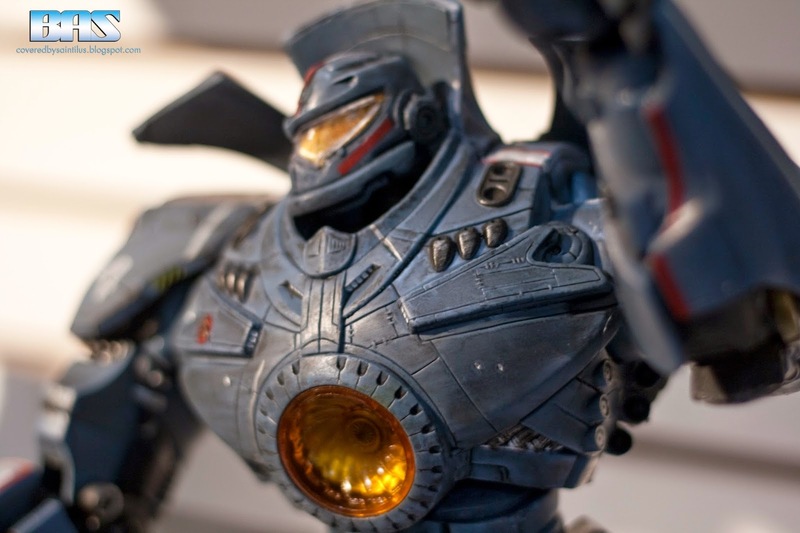 For a new spin on old school cartoon characters and heroes like Transformers and Mighty Morphin Power Rangers, Loyal Subject had a new line of toys that is sure to have every fan and collector excited. The Loyal Subjects was born in 2009, their mission is have fun, doing what they like and to keep true to a creative spirit. Just by looking at their toy designs you can see how true that statement is. As cute as their transformer line is, they are just as awesome especially in size. 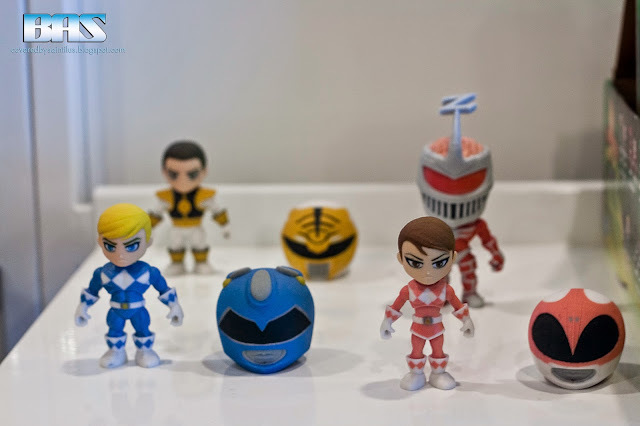 What really got my attention was their preview figures of the Mighty Morphin Power Rangers that is to be released this summer. Not only were these mini figure amazingly cool and had such great detail, they were created using a 3D printer as merely a test. And if that was just a test then the final product can only be that much more amazing. 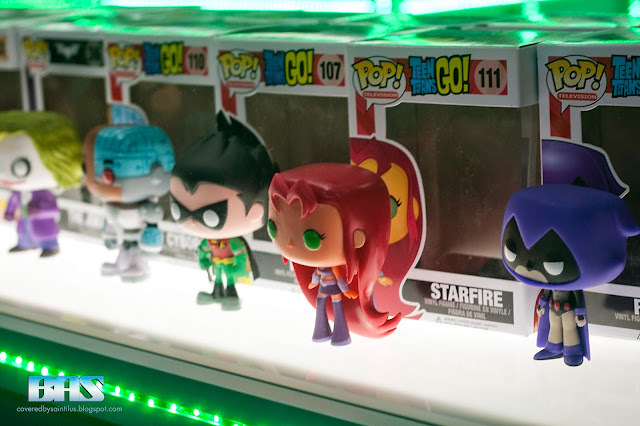 Like any collector and fan a trip, you can't go to Toy Fair without a visit to the Funko booth. And with every visit comes something new. 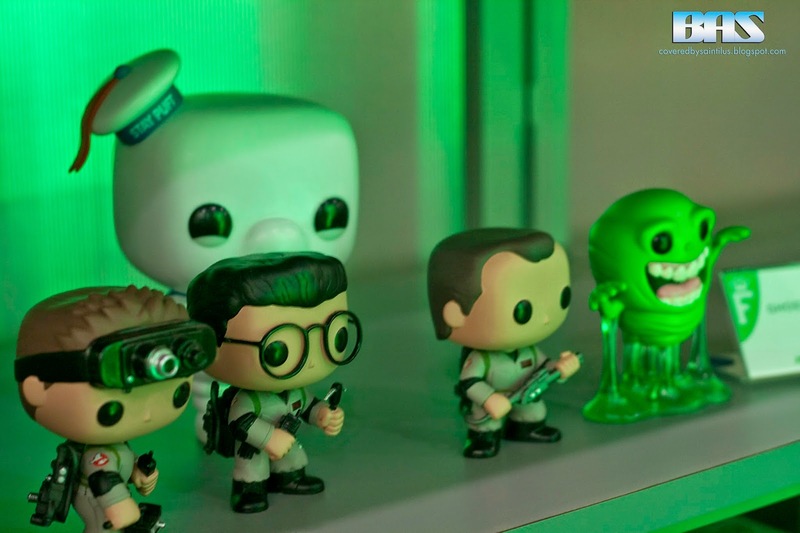 If you're someone who believes in team effort, then you'll love the fact that Funko is releasing: The Ghostbusters with Slimer and an extra large Stay Puft Marshmallow man; The Teen Titans from the Teen Titans Go! 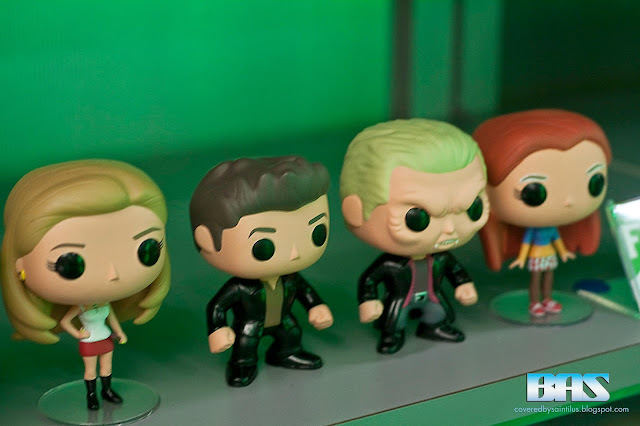 cartoon; and team Buffy consisting of Buffy, Angel, Spike, and Willow. 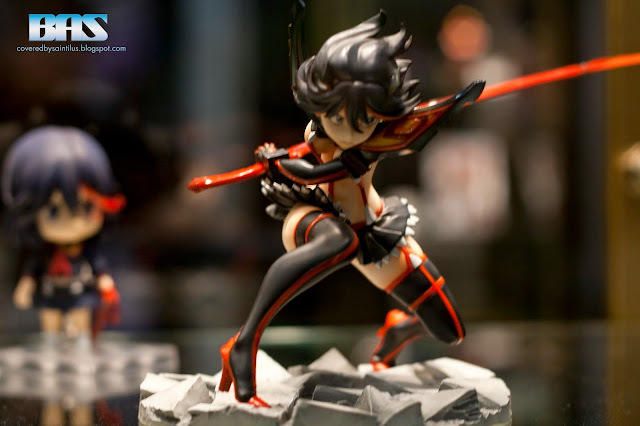 Some figures have already debuted, while others will be making their debut later this year. 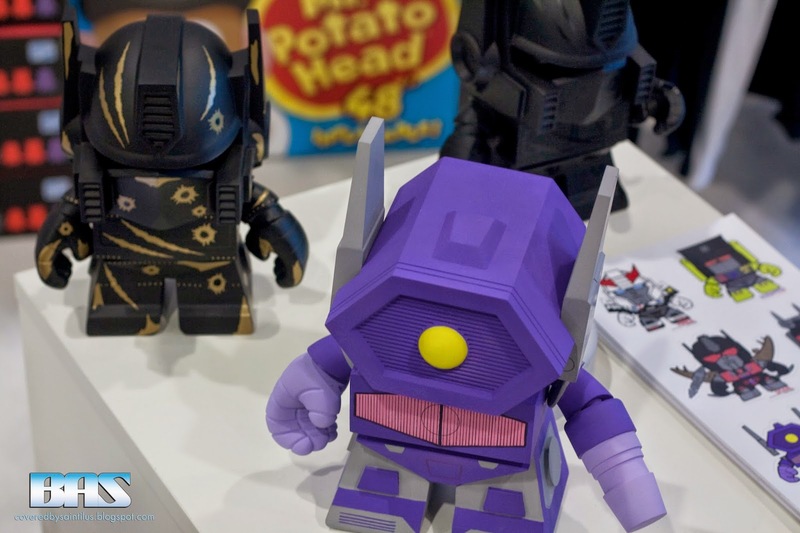 Two big debuts that Funko will be making is their new line of plushies called Fabrikations and their Hikari vinyl figures. 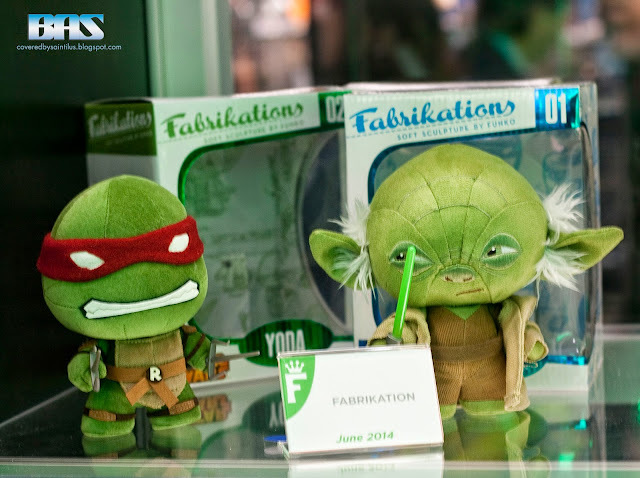 Fabrikations are soft sculpture plushes whose heads can rotate and have an included accessory item. 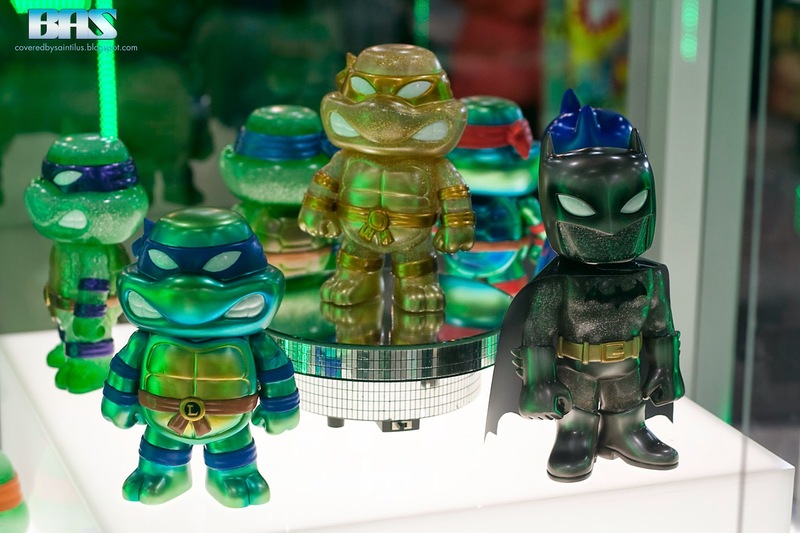 So far this new toy line consist of DC, Marvel, Star Wars, and Teenage Mutant Ninja Turtles. 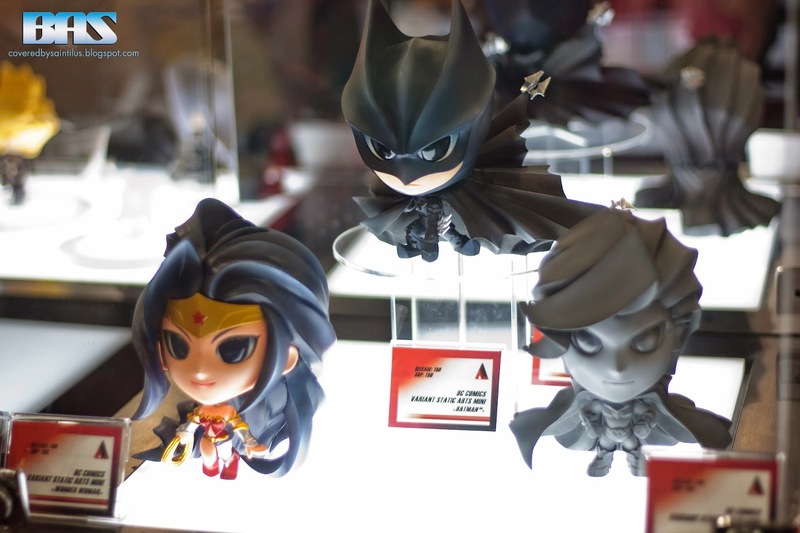 Second on their list of debuts are the Hikari vinyl figures. The Hikari vinyl figures are hand numbered and limited edition figures that are an interesting take on classic characters such as Batman and the Teenage Mutant Ninja Turtles, by having them either glittery or metallic in look but unique in design. My last stop of the convention at at Neca Toys booth and they won the big prize for best upcoming toys. My 2 personal favorites from their booth was the large scale Batman Arkham Origins Batman figure and Gypsy Danger from Pacific Rim. 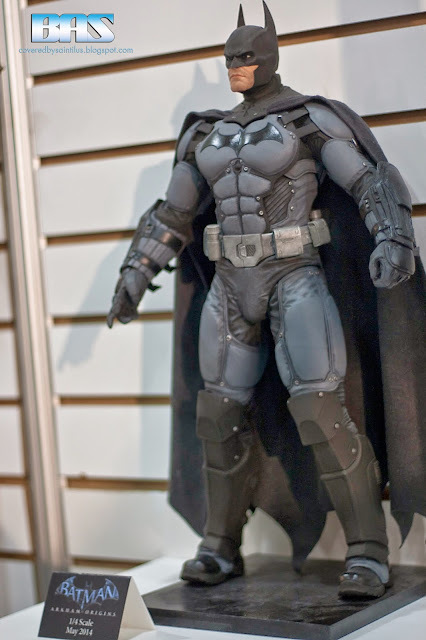 The detail on these large scale figures were just outstanding, and made for great collectors items. They were somewhat poseable, limited range in motion, but cool nonetheless.